Whether you’re looking for the best gifts for a 3 year old boy or the best toys for 3 year old boys, you’ve come to the right place. 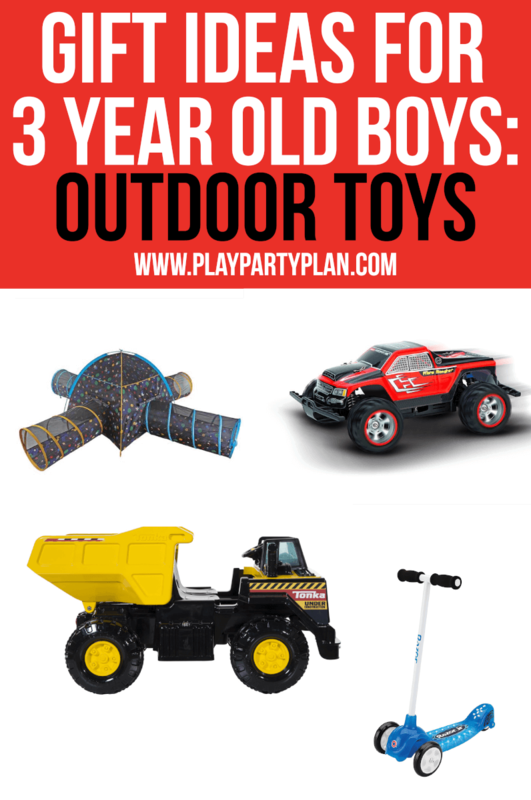 This list has both – incredible toys for 3 year old boys and the ultimate collection of 3 year old boy gift ideas for all budgets. There’s truly something for every 3 year old boy in this collection! I’ll be the first to admit that many of these toys for 3 yaer olds are directed at boys and this post is written about gifts for the 3 year old boy who has everything. That being said, when my son was three, pretty sure him and his girl friends all played with the same toys! And coming up with toys for 3-year-olds is way easier than coming up with 30th birthday gift ideas so enjoy it while it lasts! 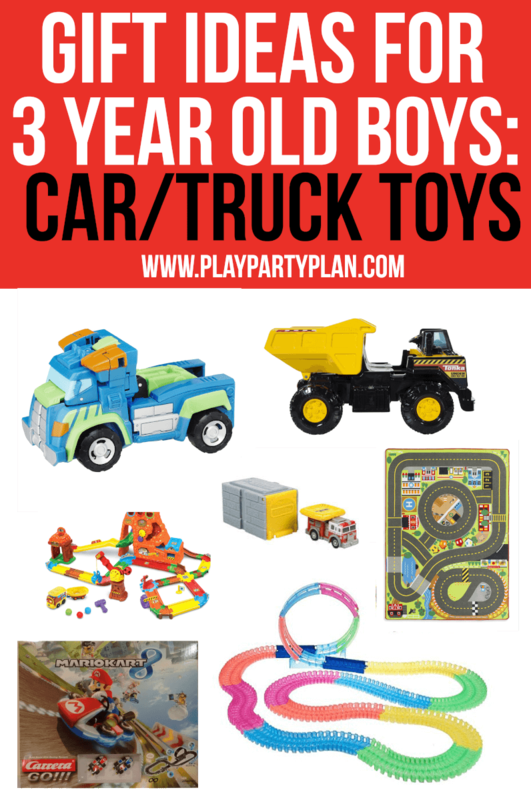 While you may not necessarily get a girl a Tonka Trunk, you could totally get them any of these books or many of the other toys for 3 year olds on this list! My son loves superheroes. Marvel, DC, Mario, Paw Patrol, pick a superhero and he loves it. We have the whole gamut of superhero toys, and they’re probably the ones he plays with most often. 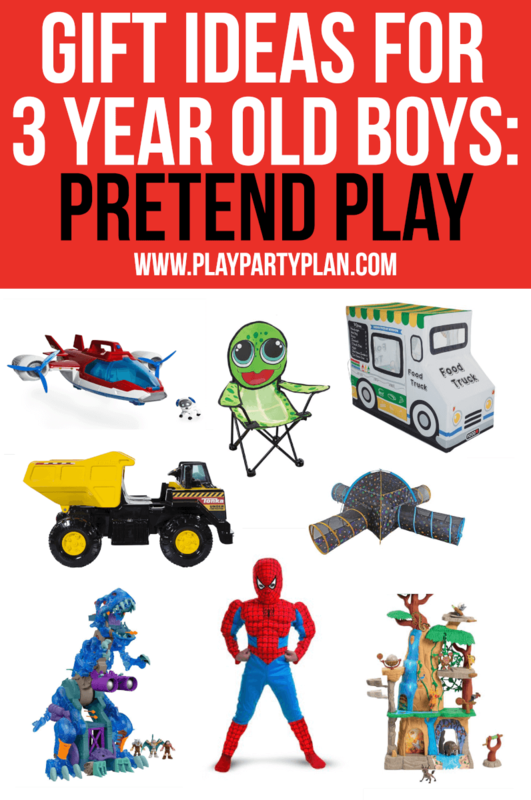 Superhero toys are awesome because not only do they encourage pretend play (hello dress up for boys), they’re something all boys can relate to. And superhero parties are kind of my jam. These are just some of his favorites. LEGO Superhero Kits – Make sure to get the Duplo ones that are for 2-5 year olds because the 4-7 year old ones are not only a pain to put together, they come apart easily when little fingers are playing with them. We love this Spiderman truck set, but choose their favorite superhero and go from there. Mega Bloks Blok Scooping Wagon – Along with those Duplo sets, make sure to pick up this wagon as well. I thought my son would understand that it’s a wagon made for cleaning blocks when he saw the commercial, but he didn’t and added it to his Christmas list anyway. So I say let’s make cleaning fun and give them what they want! Boys can pull the wagon along and pick up their blocks (hallelujah!) while they’re at it, perfect if you have an entire bucket of Duplos like we do. Superhero Costume – They make really fun superhero costumes for toddler and preschool aged boys. They’re not nearly as bulky or heavy as the adult ones, so my son wears this Iron Man one all the time. And they’re pretty reasonably priced, so you can buy a couple. This Spiderman One is on my son’s Christmas list. 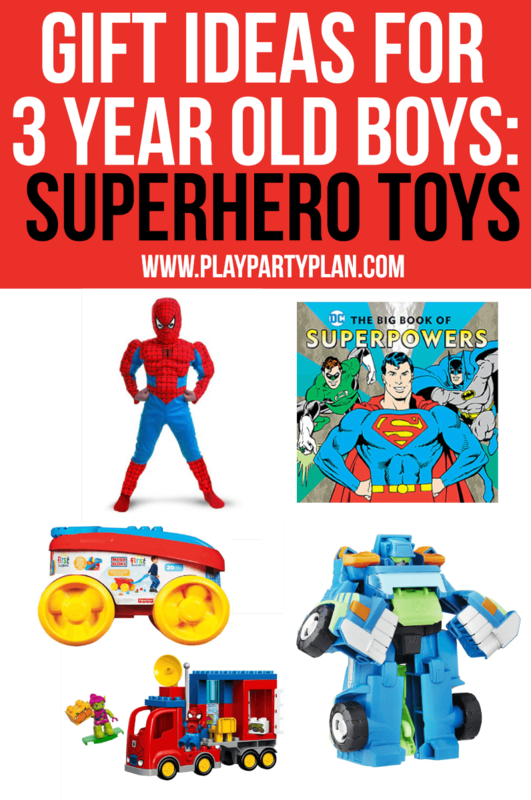 Playskool Heroes Rescue Bots + Superheroes – The Playskool Heroes line of toys is the best for preschoolers who love superheroes. It takes superheroes and makes them less aggressive and real. They’re like preschool friendly action figures, and we have pretty much all of them. My son’s newest favorite are the Rescue Bot Transformers that transform (easily, even for a 3-year old old) from robots into cars. We also have pretty much all of the Marvel guys. If you’re looking for Batman or DC Superheroes, Imaginext is your best bet. This set is great. Superhero Books – There’s a new line of superhero books from Downtown Bookworks that I as a mom absolutely love because it’s not just about superhero adventures, the books teach good principles (sharing, talents, etc.) through the superheroes. 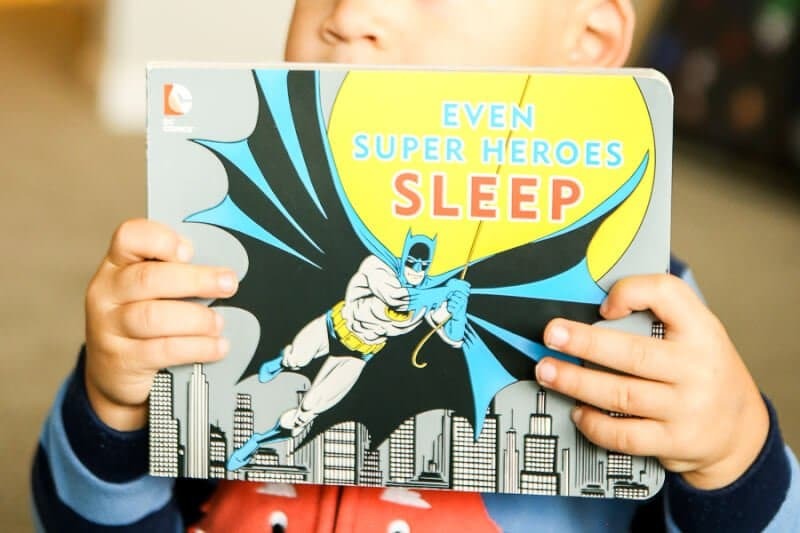 The Big Book of Superpowers is my son’s favorite with Even Super Heroes Sleep coming in a close second. Or if you’re looking for a great superhero book, we love the 5-minute superhero stories book as well. I have yet to meet a 3 year old boy who doesn’t like cars, trucks, and other things that go. I’m pretty sure it’s just a universal thing that they all love. If it has wheels, it’s a winner. If it has wheels and goes on its own (pull back, remote, etc. ), it’s an even bigger winner. My son loved cars and trucks so much, I threw him a pop a wheelie party for his 2nd birthday and would’ve done it again for his 3rd, but we were getting ready to go. Race Track Carpet – We have two of these, one at my in-laws and one at our house. We’ll get out the million Hot Wheels cars we have and race them around for hours at a time. 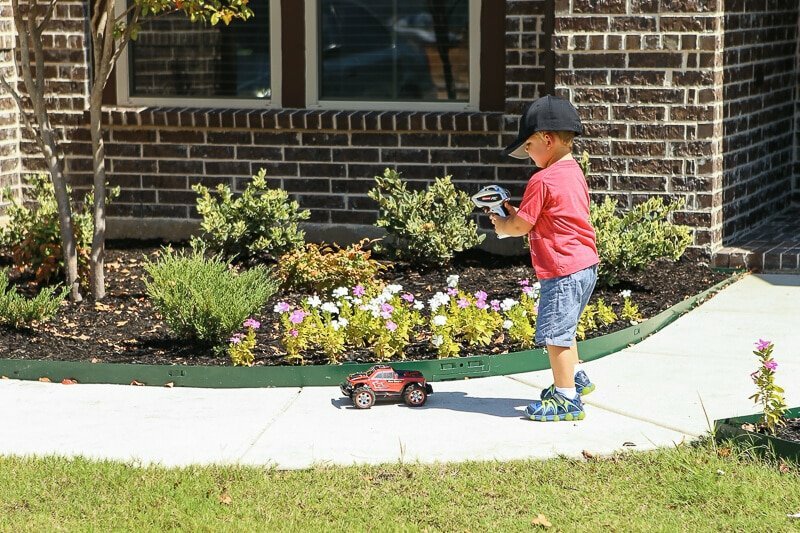 It’s the perfect combination of pretend play, movement, and education (we like to do races of different colors of cars) for a preschooler. Any 3 year old boy will think it’s very cool to have their own race track to race cars. And bonus, it rolls up when you’re done so you can toss it in the closet. Tonka Tiny Blind Boxes – There’s something about blind boxes that preschool aged boys love, I mean really who doesn’t love surprises. The reason I prefer these ones over others is because each blind box has a little working car or truck in it, the boxes act like little garages (so they’re not just trash), and the boxes snap together so you can build a big parking lot or garage area for all of your little cars. If you look closely at the outside, there’s actually a number of them, so you don’t buy the same car over and over again. Most blind boxes have the same serial number, so you can get stuck with 10 of the same thing before you get a different one. Playskool Heroes Rescue Bots – I already mentioned these above but if you’re looking for car/truck toys for 3 year old boys, these should be on the list. They’re part car/truck and part robot and so much fun to play with. Glow in the Dark Twister Track – This is one of the coolest presents we’ve ever received for Christmas. You connect the track together in any way you want – figure 8, looping, long straight track – and then put the cars on it and turn on. The cars magically drive around the track you created without any help from you or a remote. Oh and it glows in the dark, which makes it even cooler. There are a couple of different sets including an emergency vehicles one and a regular city car one, just pick which one you like most. Tonka Mighty Dump Truck – This is the ultimate gift for any 3 year old boy who likes trucks. This is a child size powered ride-on working dump truck that seats two kids. Not only can your kids ride on the truck, they can actually pick up and dump dirt out of the back – and for a 3 year old, that’s a big deal. I’ll be sharing a full review from my son on this one soon, but it’s safe to say this is his favorite thing he’s received all year. VTech Treasure Mountain Train – This is another one that’s on my 3 year old’s Christmas list because it’s a train, it goes in the mountains, and it chugs through the train tracks by itself. It’s a train lovers dream, and a mom’s dream because the train doesn’t come apart as easily as say the little Thomas the Train sets. Carrera Boys Go Mario Cart 8 Nintendo Track Set – I didn’t know this even existed until I went to a conference this summer that was all about the latest toys. And as soon as I saw it, I knew my son (and my husband) would love it. This is a Mario Kart inspired race track that needs a little help from adults to put it together but then kids can race all day long on their own. Not that any adult who has played Mario Kart will leave them alone, but still. It’s nostalgic for parents to play with kids and just plain fun for kids to race Mario, Yoshi, and their friends (see all of them available here) around the track to see who can get across the finish line first. If you’re playing with a 3 year old, I recommend skipping the loop and just going for a straight track because the loop can be a bit tricky to maneuver for the little guys. Carrera RC Fibre Monster – This is the ultimate remote control race car. There are a lot of race cars out there, but this one is fast, it’s easy to control, and it’s red. Those are three things that are essential to 3 year old boys. 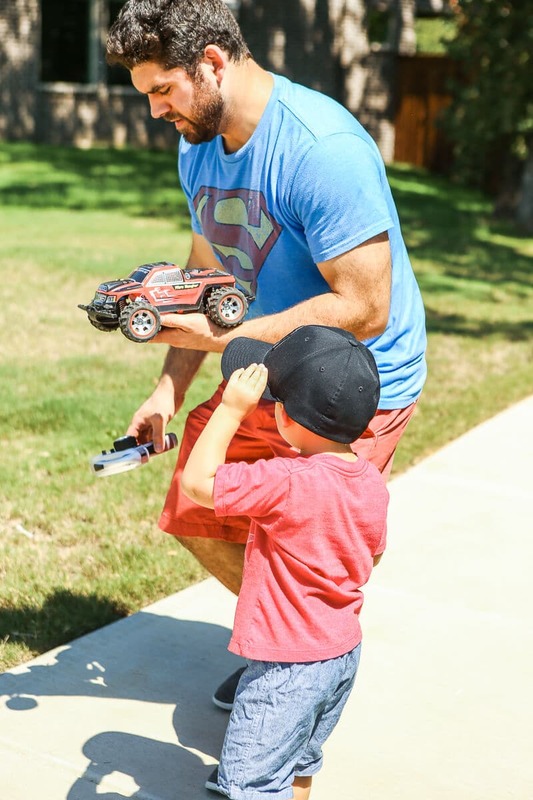 It’s the perfect toy for fathers and sons to play with together, and a great one to take outside to the park or in your road if you live in a not so busy area like we do. It’s nothing like this cheap preschool race car (we have this one too) that is hard to control, the Fibre Monster can get up to 30+ MPH and zoom up and down your street in seconds. It’s seriously a dream for boys who love cars. I try hard to make sure that all of the toys that I buy for my 3 year old are educational in some way whether they’re teaching manners, building, or more literal skills like counting. 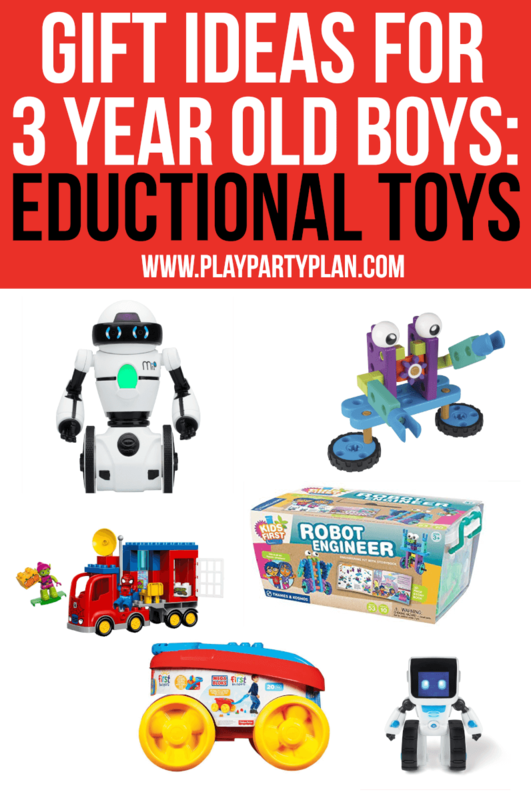 These toys made my educational toy list because they’re not only educational, they’re really fun, making them the perfect toys for 3 year olds. Mega Bloks Blok Scooping Wagon – This is a great way to teach cleaning up can be fun. Get them this wagon and some Duplos superhero sets to learn balance and building, then let them at it. Books – I already mentioned superhero books, but there are so many other books out there that are fun for 3 year old boys. Here’s an entire list that would be great. Or if you want specific suggestions, we love any of the Fisher-Price Imagine flap books, Don’t Push The Button, and the Richard Scarry GoldBug Hunt Book. Board Games – There are plenty of board games out there for preschoolers and luckily most of them are actually designed to be educational. Some of our favorites are The Good Dinosaur Roarin’ River Game (a cooperative one where you play together to beat the game), Zingo (a kid-version of bingo), and TY Friends Board game (super cute and it’s only $6!). 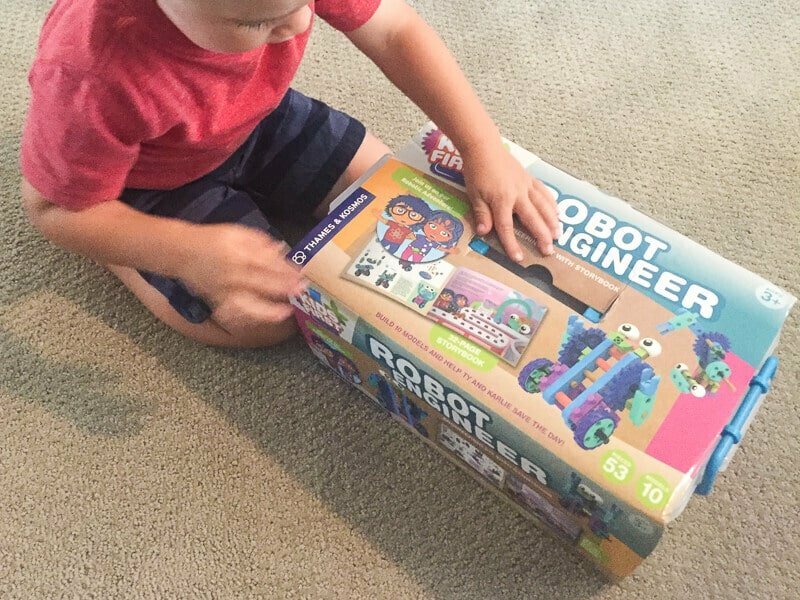 Kids First Robot Engineer Kit + Storybook – Speaking of books, this is a combination story + activity toy. It comes with a set of gears and wheels that you use to create different robots that the children meet in the storybook. It’s creative, innovative, fun, and one of those toys that will actually keep 3 year olds busy for 30+ minutes. I love that it’s easy enough for kids to build the robots themselves, with just a little guidance from parents. 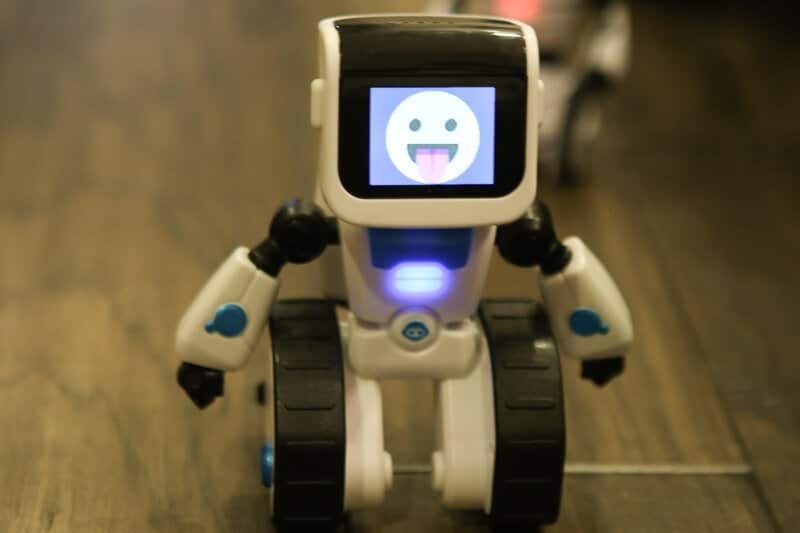 WowWee MiP Robots – If you’d rather not build a robot and just play with one instead, WowWee robots are the best. We have both a MiP and a Coji Robot, and they’re both a lot of fun. 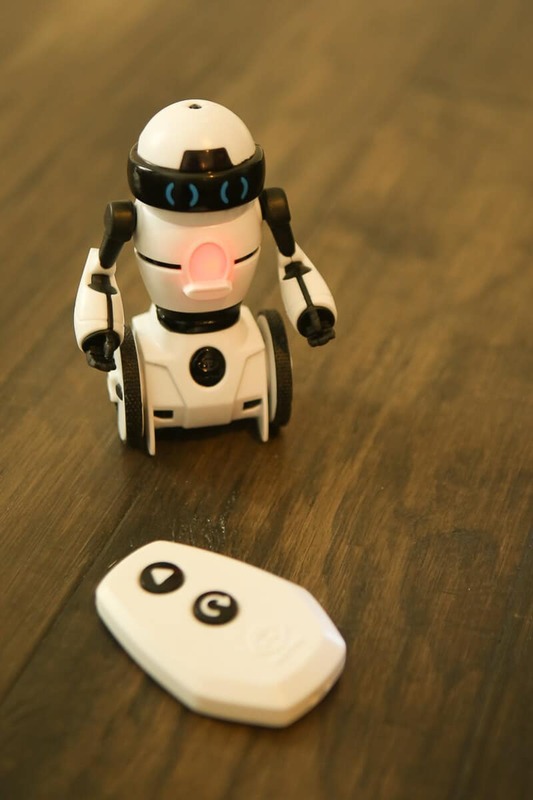 The MiP is perfect for younger 3 year olds who can push the button on the remote control and watch the little guy roll all over the house. My son was absolutely delighted at being able to control him without any problems at all. If you have older kids, the MiP has a ton of other awesome features like being controlled by an Android or iPhone app and different modes like drive, dance, and battle. You can see more about all of MiP’s features here. 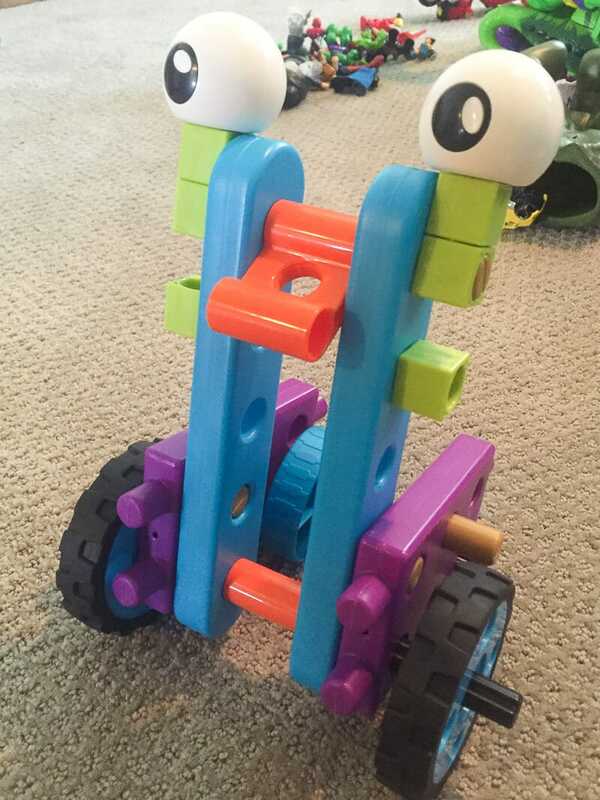 WowWee Coji Robot – Similar to the MiP, but a bit more advanced and probably better suited to older 3 year olds and over. He’s designed to work with an app that you can download on your smart phone (fun right?) and has a screen that can show fun things like emojis, words, and pictures. He’s even to control with a phone, talks, and for even more advanced kids, has capabilities to learn basic coding. 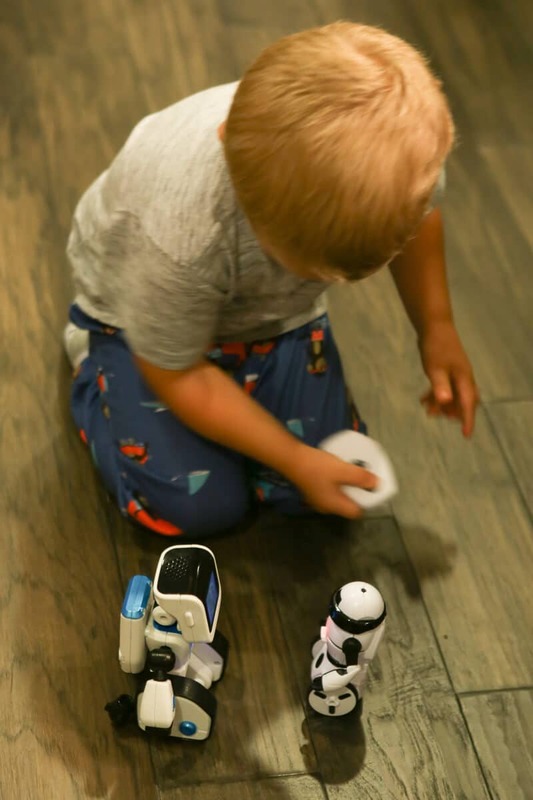 My son and husband played with their MiP and Coji robots for hours. Pretty much every 3 year old boy likes to run around and to be outdoors. These gift ideas are perfect for being outdoors and getting all of that energy out. From cars to drive to scooters to ride, these gift ideas are for the active, okay everyday, 3 year old boy. Carrera RC Fibre Monster – You can read more about the Fibre Monster above in the car/truck section but with the ability to get up to 30+ MPH, this is definitely an outdoor car. And perfect for boys who like to chase things, run around, and drive things over and under obstacles. Tonka Mighty Dump Truck – Obviously a powdered ride-on needs to be an outdoor toy. Store it in the garage then power it up to take on a ride around your neighbor. This is the ultimate outdoor toy for boys who want to live out their dreams of driving a truck. Razor Jr Lil’ Tek Scooter – As my son often tells me, scooters are hard to ride. This one isn’t. It’s designed for the little guys with a 3-wheel stance (like a tricycle for scooters), tilt to turn steering and a 20 degree turning angle, making it much less likely that they’ll fall off. It’s a great starter scooter for 3 year olds to get them ready to ride the real thing when they get a bit older. And it has an LED light that glows and lights that flash when you get on and off. That’s about as cool as my son’s light up shoes. Tadd the Turtle Chair – Pacific Play Tents has a bunch of cute chair options, but the Tadd the Turtle one is my favorite for 3 year old boys. It’s lightweight, comfortable, and best of all, it folds up into a little backpack for kids to carry. It’s great for taking camping, to the beach, to baseball games, or anywhere that kids might be sitting outside. My son was ecstatic to have a chair to call his own. Pete the Penguin was his second choice if you don’t love Tadd. 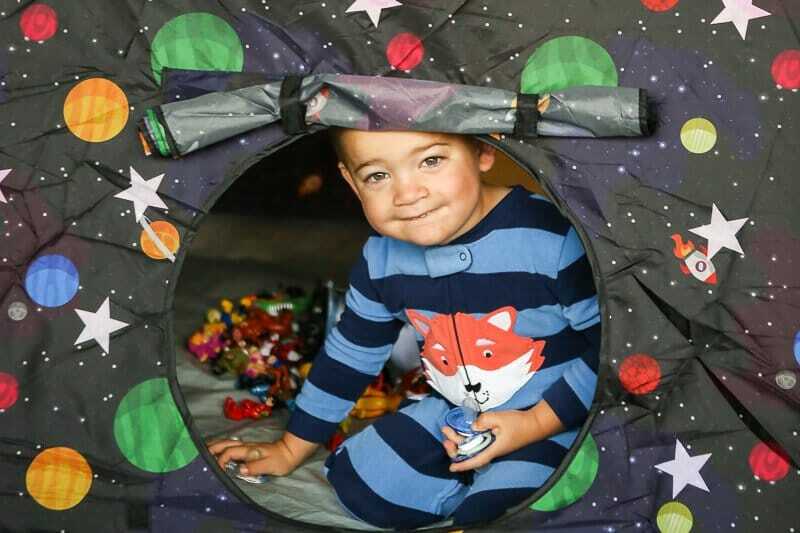 Pacific Play Tent Glow-In-The-Dark Galaxy Combo Junction – This is so much more than just a tent. It’s a tent. It’s four tunnels leading into a tent. It’s glow in the dark. It’s easy to setup. It works inside or outside. 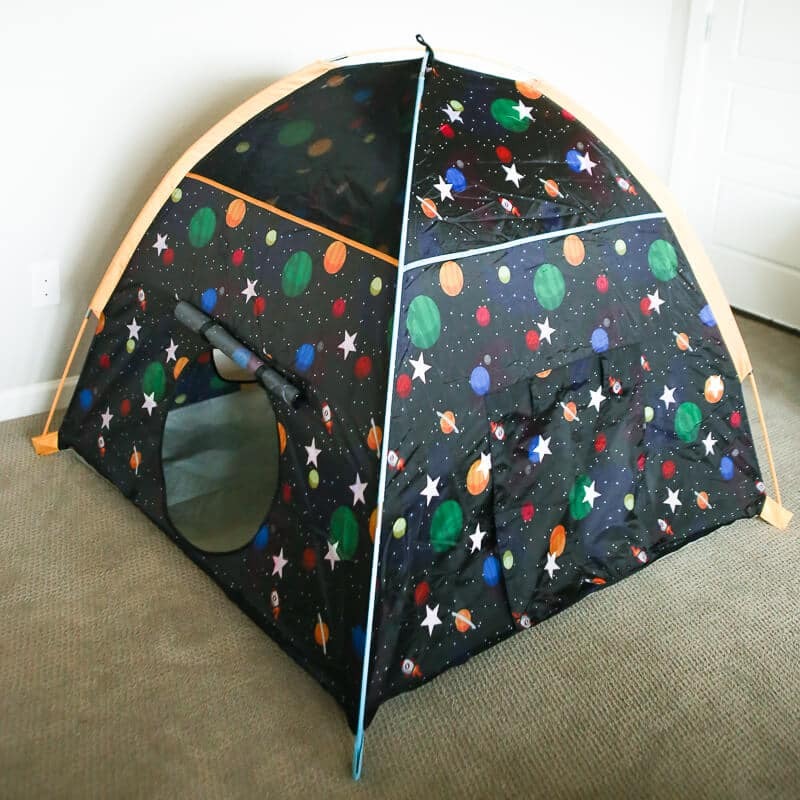 And it has its own set of glow in the dark stars on the roof of the tent, so it’s just like being outside looking at the stars when you’re outside. 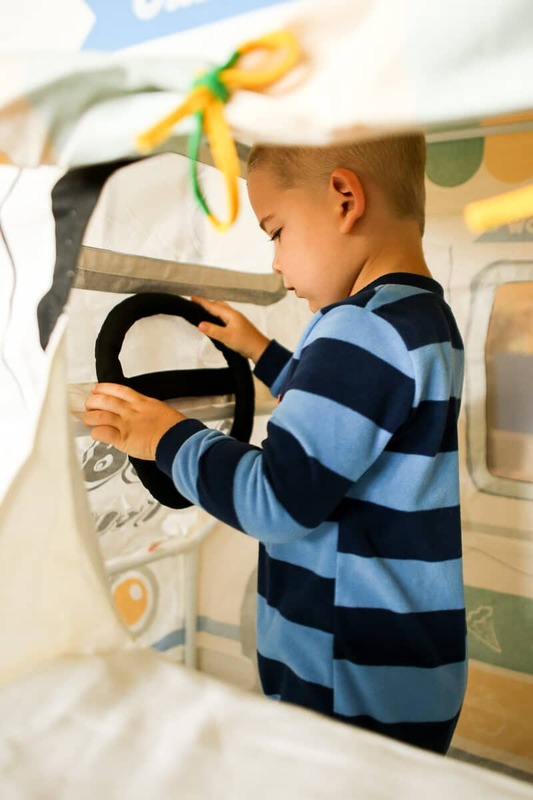 When we first opened this up, my son and husband played in the tent for hours – tossing balls in through the tunnels to see if they could get them to come out, setting up sleepovers with his animals and superheroes, and just crawling through the different sections. It’s simple to set up (just like a pup tent), and the tunnels come on and off quickly, so you can use it as a tent or as a combo depending on the amount of space you have. Pretty much any 3 or 4 year old boy would love having this space of their own. 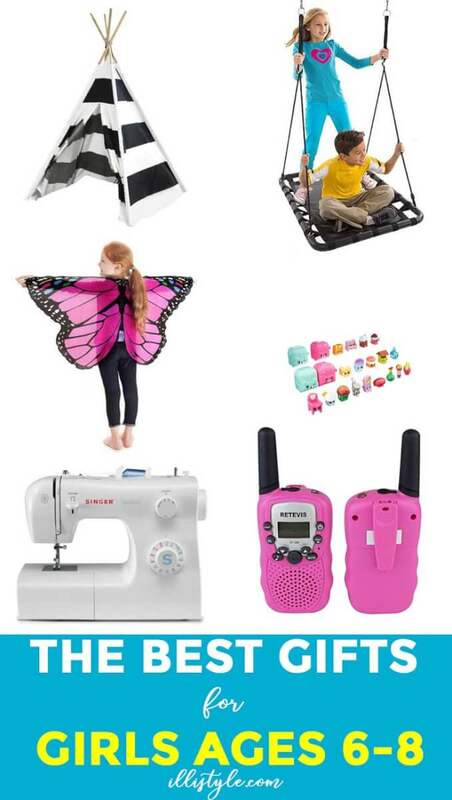 These may be my favorite gifts of all because they incorporate pretend play, or imagination, even more so than the other gifts on this list. My son loves getting action figures and toys from his favorite TV shows like Paw Patrol, Lion Guard, and more so he can play out the scenes he’s watched on TV in our own home. I’ve included toys from all of the most popular shows on for 3 year old boys as well as some of our Netflix favorites. These are some of the best toys for 3 year olds I’ve found! Costumes – There’s no better way to encourage pretend than to dress up. Girls dress up as princesses and boys dress up like superheroes, pirates, dinosaurs, you name it. Get them a costume of their favorite character, and they’ll love you forever. There’s everything from Paw Patrol costumes to this Dinotrux T-Rex costume my son wore for Halloween. And I already mentioned how fun superhero costumes can be. 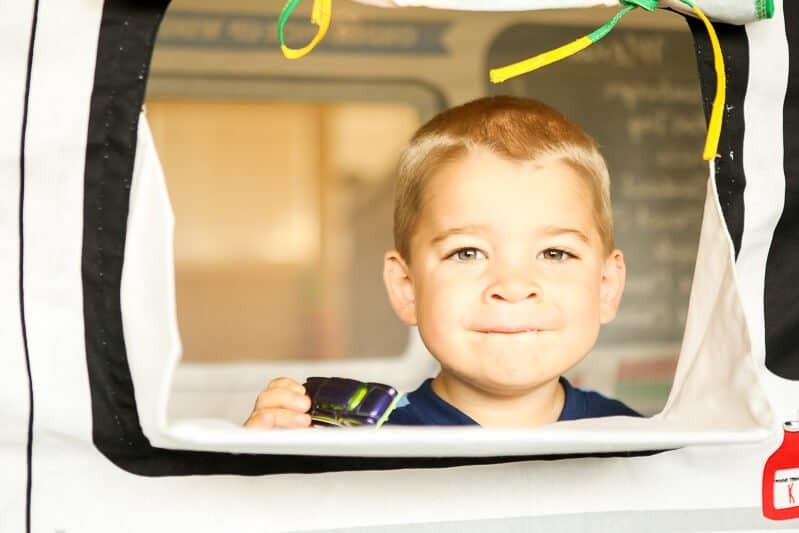 Pacific Play Tent Food Truck – Pacific Play Tents has a TON of different tent and pretend play options, but the food truck is my favorite because it’s gender neutral, easy to build, and something that kids will likely recognize. And I adore all the details from the menu items to the easy to get through flaps on the entrance. I wanted to get the ice cream truck but my son said it was for a girl, so the food truck was a good secondary option. 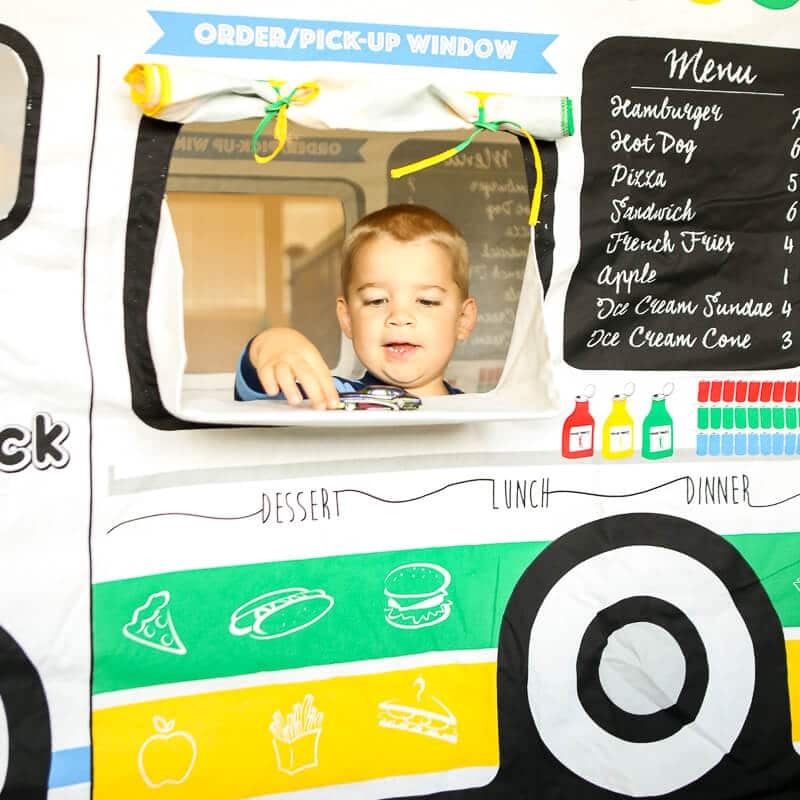 It’s an ideal size for a playroom and fun for kids to pretend to serve you (or their friends) food through the window. Get the food truck, this fake plastic food set, and this cash register with fake money for hours of fun pretend fun. Paw Patrol Air Patroller – To be honest, you could get them any Paw Patrol toy and you’d probably be fine. Unless kids aren’t watching TV or YouTube, they probably like Paw Patrol (boys and girls). My son is obsessed. We have the Paw Patroller, the Monkey Temple Playset, and the Rescue Training Playset. I’d go with the Air Patroller because it comes with Robopup, and he’s not as readily available as the other pups. 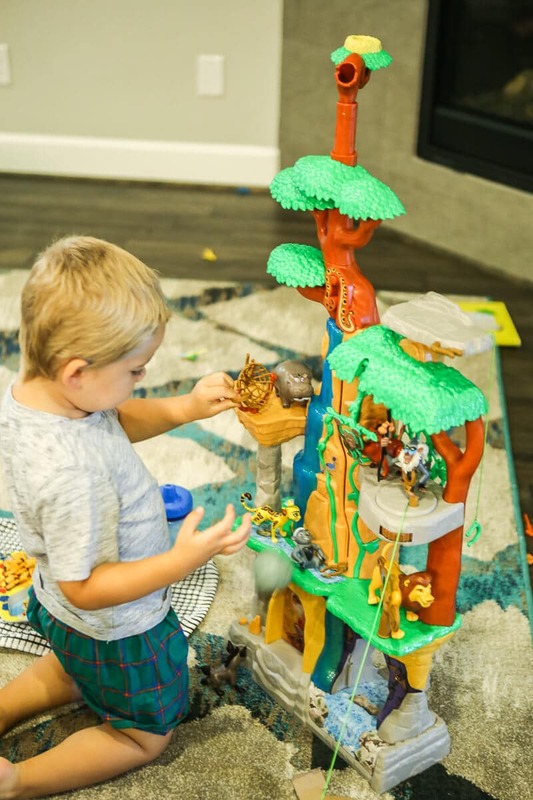 Fisher Price Imaginext Ultra T-Rex – If there’s something that 3 year old boys like as much as superheroes or cars, it’s dinosaurs. This is the ultimate dinosaur toy because it’s not only a T-Rex, it also has places to put those little Imaginext superheroes (or villains), it lights up, it roars, and it shoots balls out of its mouth. It’s pretty much the coolest dinosaur toy on the market right now and easy enough for 3 year olds to operate. This is at the top of my 3 year olds wish list right now. Make sure whoever you’re buying this for has some Imaginext superheroes first and if they don’t, give them this friends and villains starter set along with the dino. 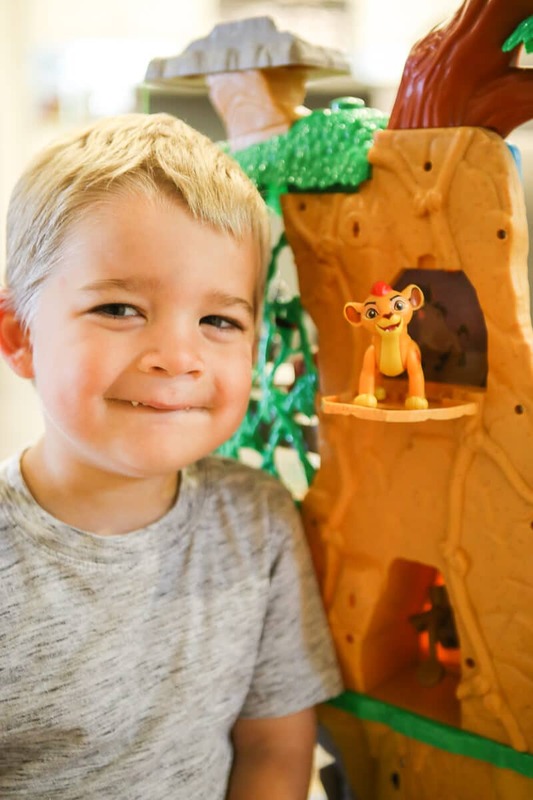 Lion Guard Training Lair Play Set – From Just Play Toys, this Lion Guard Play Set is the newest and greatest addition to the Lion Guard toy lines. We were given the little figurines set when we were at Disney World last spring and this play set is the perfect place to put all of those little guys. There are so many cool things about the play set from all of the interactive features (a zip line, a sling shot, a bunjee jump, etc.) to the light up features. My son’s favorite thing of all is that it’s really tall and has plenty of different platforms, enough that there was room for all of his guys to stand somewhere on the front (or the secret compartment) on the back. If this it too big, the Battle for the Pride Lands set is fun too. 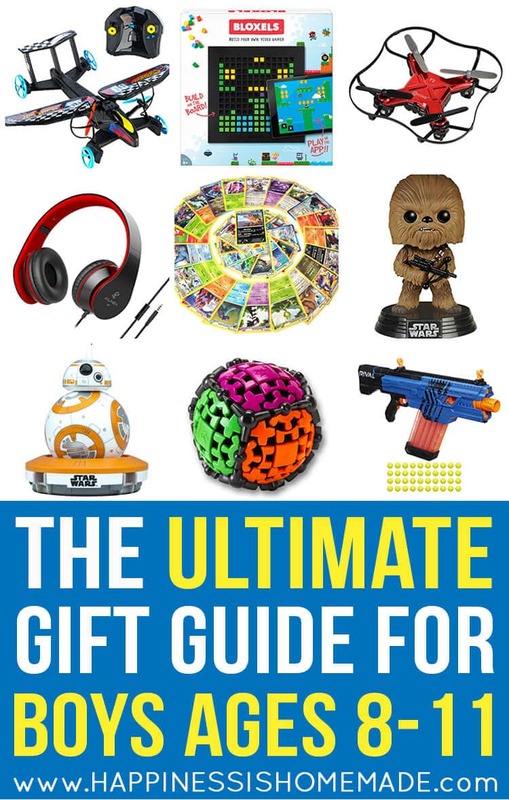 Make sure to check out these other great gift guides as well with gifts for boys and girls from toddlers to 10 year olds! Click on the image below to be taken directly to the gift list! 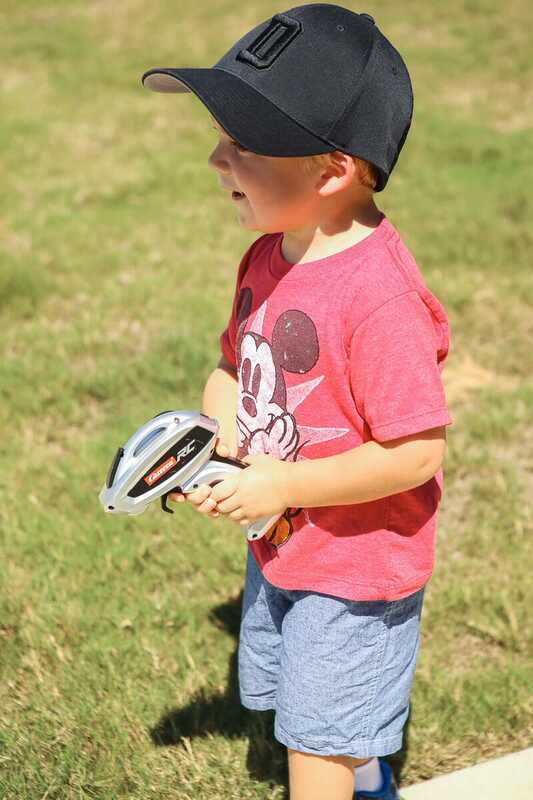 Thank you for sharing some of the best gift ideas for kids.